While Fiji are looking good to claim their place in the final tournament of the OFC Women’s Nations Cup, it is by no means a sure thing. With one match day to go at Churchill Park in Lautoka both Solomon Islands and Vanuatu are nipping at Fiji’s heels making Match Day 3 of the OFC Women’s Nations Cup Qualifier a very important one for all involved. With a win and a draw under the belt so far, Solomon Islands needs one more victory against Vanuatu to stay in the race for tickets to New Caledonia. However after Fiji posted a 5-1 victory over this particular opponent on Match Day 1 it means not only do Diane Justus’ charges need a win, but they need to win big. Having only managed to score twice in the competition so far despite creating a decent amount of chances it’s not going to be a simple task for Solomon Islands, especially with Vanuatu showing major improvements between their opening match and the second on Monday. 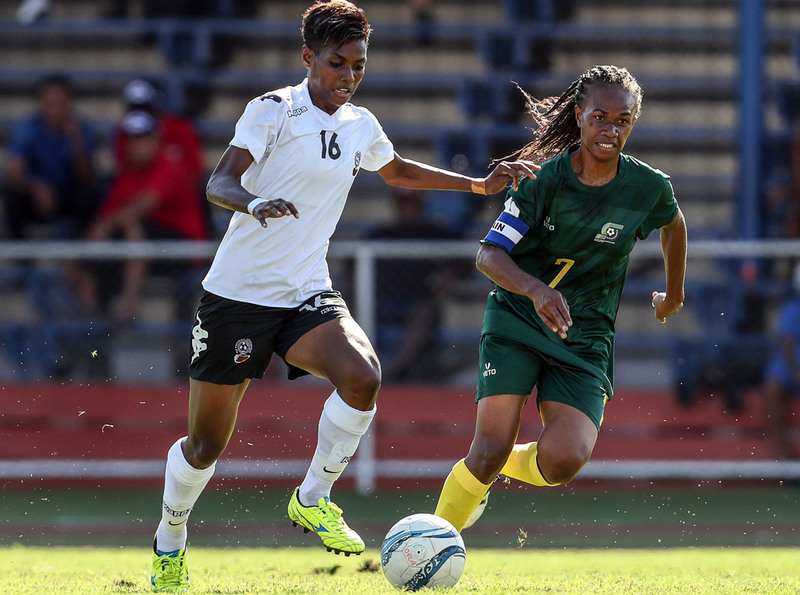 Justus said the approach against Fiji was defensive, putting goal scoring on the back burner – although she did consider after the match whether she could have approached it differently. “We thought of putting numbers in front to do the finishing but then I was also a bit hesitant because we might have the disadvantage of them gaining the ball and us not being organised at the back,” Justus considered. Taking on Vanuatu will be a different game again for her team and Justus believes it is a challenge they are ready to take on. “It’s going to be a challenge because every game is not the same – from match one to the second match – the final one will be different again and I’m not underestimating Vanuatu,” she said. For Vanuatu, the Qualifier has been a bumpy ride so far. Despite having beaten Fiji in the final of the Pacific Mini Games less than 12 months ago, they were well beaten by a clinical and organised team in their opening match at Churchill Park on Friday. But despite the discouraging loss, the side rallied together and came back stronger against American Samoa with a performance that showcased some of the individual talent within the squad. But they’ll need to step it up another notch to contain the Solomon Islands who have shown themselves to be a determined, well-organised side with flair in possession. Vanuatu coach George Kalo said his side is improving with every match which makes him relatively confident about their chances tomorrow. “I think we’ll have to work hard and respect the Solomon team,” he said. In the closing game of the tournament American Samoa will play their hosts Fiji with the hopes of trying to secure their first win of the competition. However with Fiji keen to secure their place in New Caledonia they’ll be throwing their all at the encounter. While they have two losses in two matches, American Samoa haven’t been too far off the pace. Their opening match was a 2-0 loss to Solomon Islands, followed by a 1-0 loss to Vanuatu and coach Larry Mana’o believes if they can get some of their many chances on target, they’ll be an even more competitive side. “This tournament is about goals, you’ve got to get goals to win if we want any kind of results – a win or a draw – we’ve got to score,” Mana’o said. Although a positive result against one of the tournament’s strongest sides will be no easy feat, Mana’o is confident the players will give their best. “We’re not going to roll over for Fiji. We’re coming in fighting. We’re not done,” he said. For Fiji the final match is a chance for them to assert their dominance on the Qualifier. But like each team they have faced so far, Fiji remain wary of the threat that their opponent could pose. “It’s not the end of the road yet, we have one game on Thursday and we’d like to see that we don’t repeat some silly mistakes. I think we’re optimistic of our chances,” coach Marika Rodu said. Rodu said the biggest thing for his side is to improve their organisation and to be patient. “We need to be more patient on the ball as we lost possession against Solomon Islands because we forced the game too much,” he said.